Lexington Law Credit Repair Review: Scam or Legitimate ? You are here: Home / Credit Repair / Lexington Law Credit Repair Review: Scam or Legitimate ? 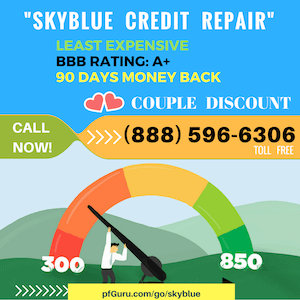 Many people concerned about that the credit repair companies are very expensive and at the end of the day they only improve your credit report by only a single point. This is something that majority of the people do not find to be worth it. From bankruptcies to charge-offs, to tax liens, Lexington law has challenged virtually every credit problem, doing work for clients that resulted in millions of items removed from their credit reports last year alone. their 25+ years of experience in the credit repair field have helped many clients to turn their lives around. A bad credit report can cost you thousands of dollars a year in overpaid interest or can keep you from being approved for credit altogether. Use the chart below to see how bad credit scores may impact you. Lexington Law has three packages to choose from which are offered at different prices. When you are just starting out, you will be required to pay a fee of $99.95. The monthly charges after this go for $54.95. If you happen to have serious credit issues that might require a lot of work to be put into the issue to solve it, you have an option of upgrading to Concord package. Doing this will require you to increase your monthly fee to $ 79.95. The third package is the Concord premium. This package is different from the Concord package because, with it, you get to receive credit reports each month as well as protection from identity theft. To receive these services, you will be required to pay a monthly fee of $99.95. There are additional costs if you would like your credit reports to be pulled when you are being initially assessed. The additional costs for this are $10. Similar to Sky Blue, Lexington Law also offers a 50% discount for your partner if you decide to sign up for the services together. Lexington Law includes some certain features that most credit repair companies do not. For instance, in their Concord package, the service providers ensure they check the FTC regulations that all lenders are required to follow before they make any reports to the credit bureau. The great thing about doing this is the fact that if they find out that any of the lenders is not following the regulations, they can make them remove the information from the credit report of their client thereby restoring their client’s credit score back to a high score. The Concord premium package, on the other hand, includes this service as well as ensuring that the client is protected from identity theft. Lexington Law is the clear winner when it comes to the services they offer. With Lexington However, you are assured of interventions with creditors, requests on debt validation and so much more. Lexington Law is also very good in customer support. Once a client signs up for the company’s services, they make sure that the client is assigned to a highly skilled and professional paralegal. The purpose of the paralegal is to take the client through the case from the beginning to the end. Apart from giving clients paralegals, Lexington Law is always available to pick calls and answer questions about their services. They are available every day from 7 a.m. to 12 midnight. One can reach them through the phone, chats, and emails. Their representatives are very friendly and do not pressure the potential client to sing up for any of their services. They answer all questions to customer satisfaction. They are available for contacting longer hours in a day and also ensure all their clients have a professional to take them through the entire process of credit repair. 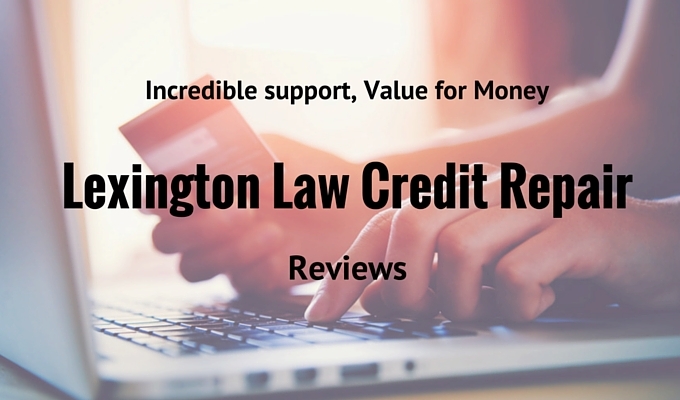 Lexington Law has also been the operation for a number of years now and, therefore, has a lot of experience in dealing with different clients who have different credit reports. Lexington Law was given a B+ rating by BBB in 2014 which shows that this company offers high-quality services. One thing most people love about this company is the fact that they do not charge any of their clients until the work at hand is completed. This enables each and every client to pay for exactly what they receive. This is one thing that shows that Lexington Law is a highly reliable company. When it comes to delivery of results, these companies are at the forefront. There are a good number of clients who can attest to the fact that receiving services from these companies greatly improved their credit score. Phone Number: call (844) 259-3376 to talk to a live person. every day from 7 a.m. to 12 midnight. Apply: Visit Lexington Law Credit Repair website here.